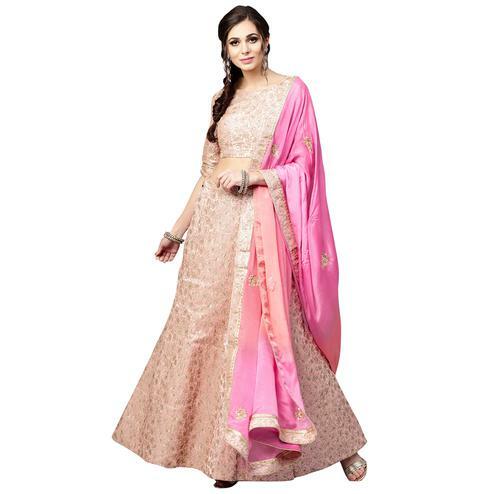 Pamper the women in you with this trendy pink colored lehenga choli. The choli is made of silk and netted fabric, comes along with silk bottom and lycra dupatta that enhances the attire. 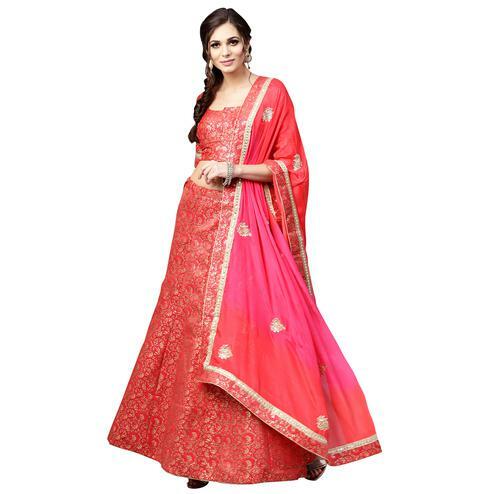 The semi-stitched lehenga choli is beautified with amazing heavy embroidery work as shown. Specially designed to wear in weddings, functions, engagements, ceremonies and special occasions. Teaming this dress with stylish jewellery and high heels that would be an added attraction. 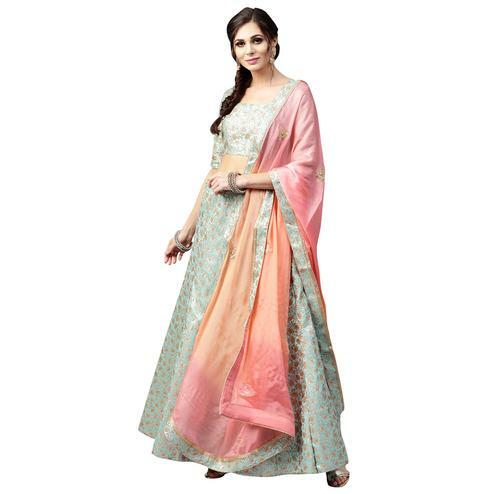 Buy this beautiful lehenga choli now before it gets out of stock.